Buyers have the upper hand when purchasing a home in a down market. Sellers need to make the best possible impression to appeal to these picky buyers. When possible, sellers should avoid making changes that will devalue their home or cause buyers to pass on purchasing it. The first thing any prospective buyer will see is the front of the home. Everyone wants to live in a home that is beautiful on the outside as well as the inside. A poorly kept landscape, whether overgrown, or non-existent will turn a buyer off. They may fear the cost of redoing landscaping, or be overwhelmed at the thought of it. By planting a few annuals, keeping the grass cut and weeding the flowerbeds regularly you will improve your curb appeal. 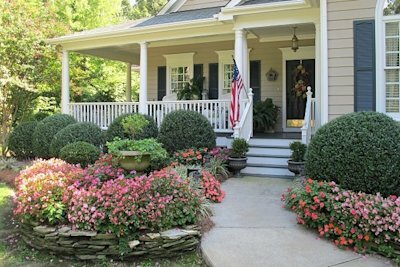 Front landscaping that is welcoming and has good visual appeal will keep a buyer interested in your home. Chipped or faded paint, dirty windows, broken railings or busted sidewalks will all devalue your home. Just as a buyer will notice the front gardens, they will also notice the disrepair of the outside of your home. Buyers may wonder if the exterior is so neglected, what has been neglected on the interior. If selling your home is in your future, invest in a fresh coat of paint, wash the windows, and repair any issues with your walkways. Potential buyers will notice the pride you take in your home and will reflect in their offer price. 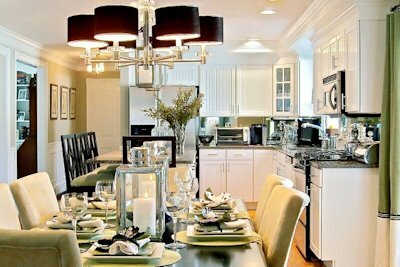 Kitchens can make or break how buyers will perceive your home. They want to walk in and fall in love with your kitchen. Moms want to be able to envision making cookies with their kids or perhaps hosting dinner parties. 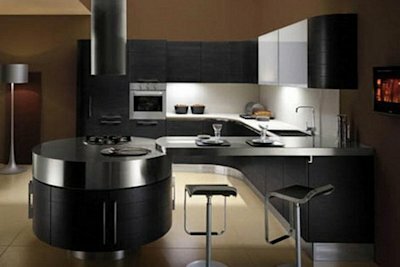 That vision will not work for them if the kitchen is dark, dingy, or outdated. There are two ways to update a kitchen. A full-blown renovation will update the space to a buyers liking, but at a substantial cost. The good news is you will reap close to a 90% return on investment. A fresh coat of paint on the cabinets, new door pulls and fresh laminate on the counter tops are all options for a small budget. Outdated bathrooms are certain to affect the sale of a house. Buyers want updated baths just as they want updated kitchens. 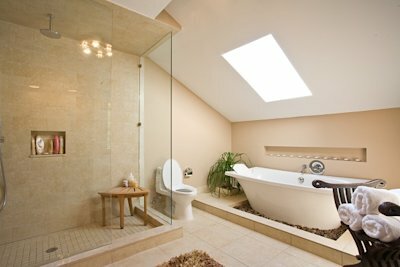 If you are able to renovate the bathroom from top to bottom, you should recognize an 80% return. If not, make small changes to update it. Add new fixtures, new lighting and if your budget allows, tile the floor. No matter how you update the space, a buyer should walk in to a bathroom that is clean, fresh smelling and well-decorated. These simple changes will do a lot for the buyer's perception of the space. Taste is subjective when it comes to decorating a home. What you may love, a buyer may hate. Buyers want to see themselves in the space, and if they walk in to a home with, red walls, shag carpeting and wood paneling, they will have a hard time envisioning themselves living there. Instead, they will see the cost of replacing carpeting, and tearing down the paneling. All of these factors could cause a buyer to offer less than the asking price. Before you sell, paint your home a more neutral color that has a broad appeal. Have you ever wandered into an open house and wondered what the owners were thinking as you faced an ultra-modern kitchen or a futuristic fireplace. These design choices will be difficult to sell to the average buyer with a more mainstream style and most buyers will be thinking about ripping out a kitchen and redoing it to their liking. It will take someone with a similar aesthetic to be interested in a home with such design specific features. Keep that in mind when you contemplate any renovations. 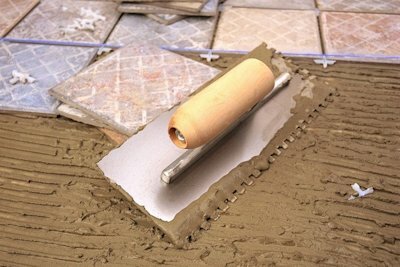 DIY projects can be fun to do, but if you riddle your home with projects that are half-done or poorly done, buyers will cringe at the thought of redoing projects or hiring someone to complete them. Buyers who see dollar signs will either walk away or deduct from their bid. A general rule of thumb is to hire someone to manage a project if you lack the confidence that it will look professional. 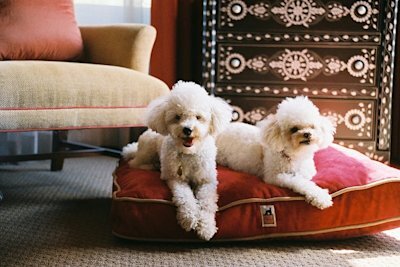 Pets are wonderful additions to a home, but bring unwanted issues when trying to sell. Damage to walls, carpeting or woodwork needs repair before you list the house. A good carpet cleaning will lessen the smell of pet odors too. Buyers would rather not move into a home that has lingering evidence of pets, especially if they have allergies. So, farm Fido out while the home is on the market to ensure the best offer you can get. 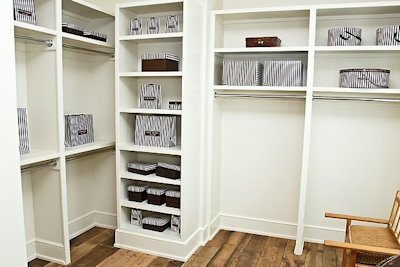 We like our home to work with our lifestyle and to accommodate specific interests or needs we may turn a bedroom into a closet, or a garage into a gym. While these highly personalized spaces work for a homeowner, the perceived wasted space is a turn off for most buyers. Ultimately, the missing square footage detracts from the value of your home. Changing the space back to its intended use is a huge endeavor; buyers may focus on cost of such a project. You may love your pool, covet your hot tub or adore that waterfall, but for a buyer water features are another expense that will be incurred to maintain the home. Over time, in-ground pools will need to be resurfaced and resealed at an additional cost to the buyer. Families with small children will see the pool as a potential danger as well. A buyer may love everything about your home, except the pool and request it removed or filled in before closing on the sale. From kitchen renovations to wasted space to basic home maintenance, it's often the simple things that devalue your home. Applying a little forethought and practicality will help you reap the most value from the sale of your home.